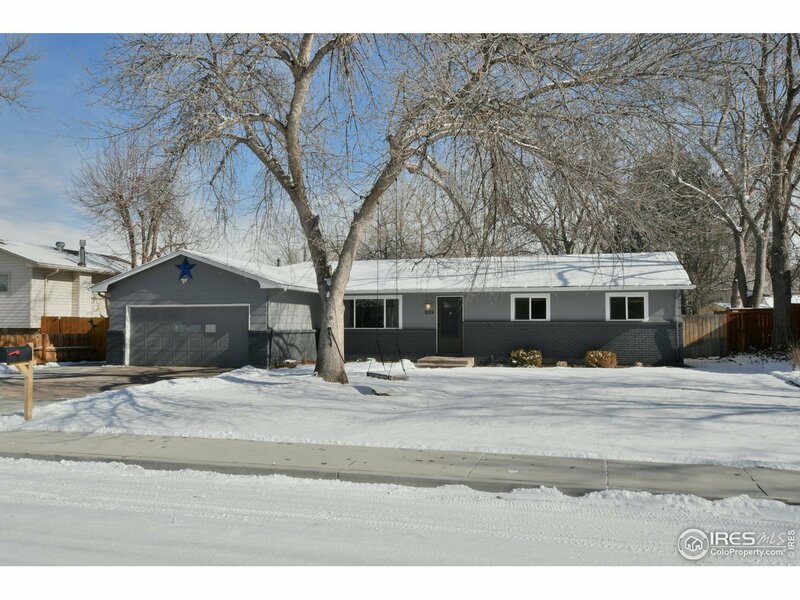 This tastefully updated ranch is sparkling clean and ready to be called your HOME! Recent updates include granite counters, stainless appliances, new tile, cabinets, fixtures, windows, roof & more! Neutral colors, bright & light filled, hardwood flooring in bedrooms, private master bath, nice flexible living spaces overlooking the large fenced yard. Large laundry/mud room. Garden beds, oversized 2 car garage, off street parking area. Terrific location near CSU, parks, shopping and recreation.